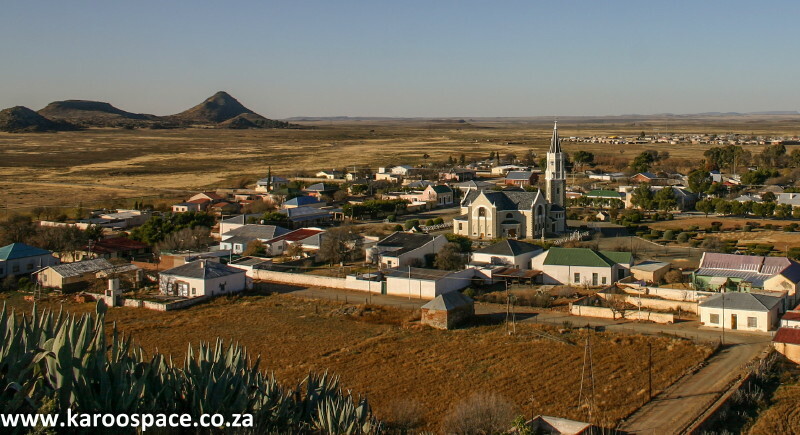 Hanover and the vast Karoo beyond. 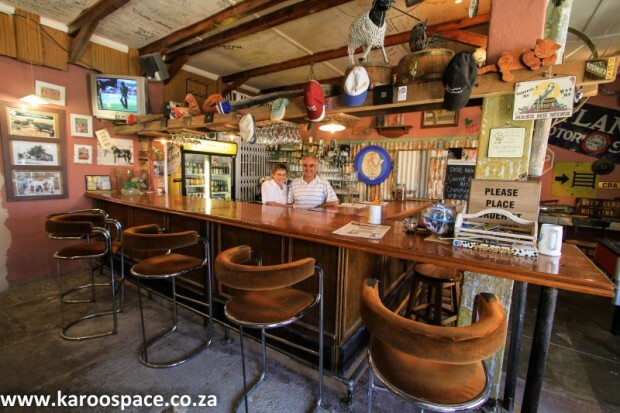 I’ve just been reading your 21 Karoo Pubs piece on Karoo Space. I think one of those pubs was the scene of a personal alcoholic adventure back in 1977. I was driving from Jo’burg to Cape Town in my old Volksie sedan, an ungainly green thing I had inherited from my brother-in-law. Just outside Hanover, at about 10am in the morning, one of the front wheels cracked a bearing. The car lurched heavily but I managed to limp it into Hanover where I found the usual roadside garage and repair shop. The proprietor diagnosed the problem and said he’d have to order the parts from PE so it would be the next day before he could repair it. I had enough money for the repair but not a hotel so I was in for a night in the car. To anaesthetise myself against this eventuality I ‘repaired’ to the hotel bar – now named your Baa-Bar – and of course was immediately accosted by ebullient locals. 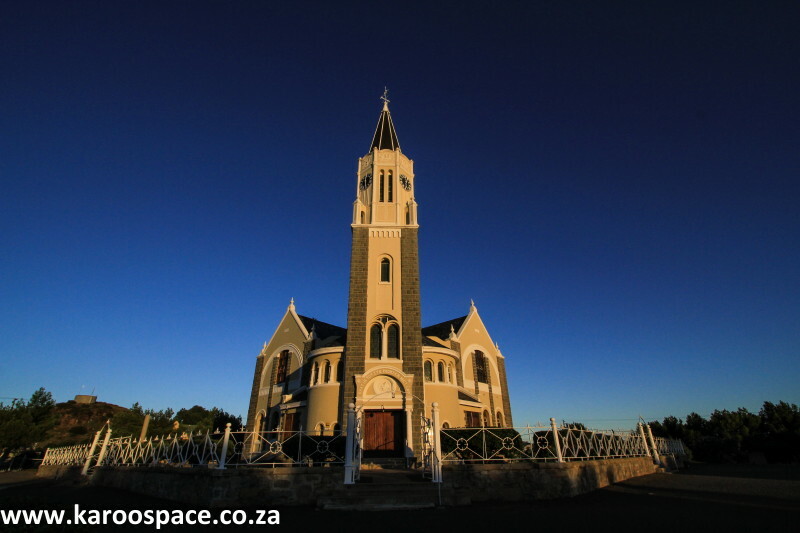 The imposing Hanover Mother Church – like a rocketship poised for launching. Some guy started off about the ‘blerry Rand Daily Mail’ and, unable to resist, I declared myself a member of the editorial staff. That caused a laugh and a lot of bliksemse kommunis banter. Anyway, one thing led to another and it turned out the first guy knew my stepfather’s cousin, Terry Bell, the intrepid reporter who had ‘run away’ to London – a few of his mates had been collared by the Security Branch. Terry is an old labour stalwart who to this day still thunders at the injustices of the powers-that-be, though his targets have shifted a bit and the Cape Times has chucked out his column as a result. I defended Terry, though my dear stepfather would have been shocked; the family didn’t speak about Terry. So we had a good laugh and a lot of argument – you could argue politics with good nature in those days. The guy asked me if I was eating and since I didn’t have much money for dinner either he said ‘come back to my place’. So a few of us walked round to his house. His wife was away so dinner was pretty scratch, a haunch of lamb and a cold potato from the most recent Sunday lunch. We drank brandy and milk. A lot of it. Plenty of milk down there – and plenty of brandy. I counted nine plus what I’d had in the pub. The legendary Baa Bar at the Hanover Lodge Hotel. I lurched out of there about 11.30pm, staggered back to the garage and passed out in my car. And in the morning awoke with a hell of a hangover as half a dozen kaalvoet klonkies danced around the car in ribald glee as this dishevelled witbaas stumbled blearily on to the forecourt. It’s all a fond haze now but typical Karoo hospitality from a bygone time – though the hospitality evidently remains. I loved seeing those same faces smiling out from behind the bars in your pictures. Happy ‘Krismis’ to you en jou nooi, ou swaer. Paul Bell – London-based South African with fond memories of the Karoo. Paul Bell is an award-winning South African-born journalist who worked for the legendary Rand Daily Mail newspaper in the 1970s and 80s. During the following decade, he was a senior writer for Leadership Magazine. 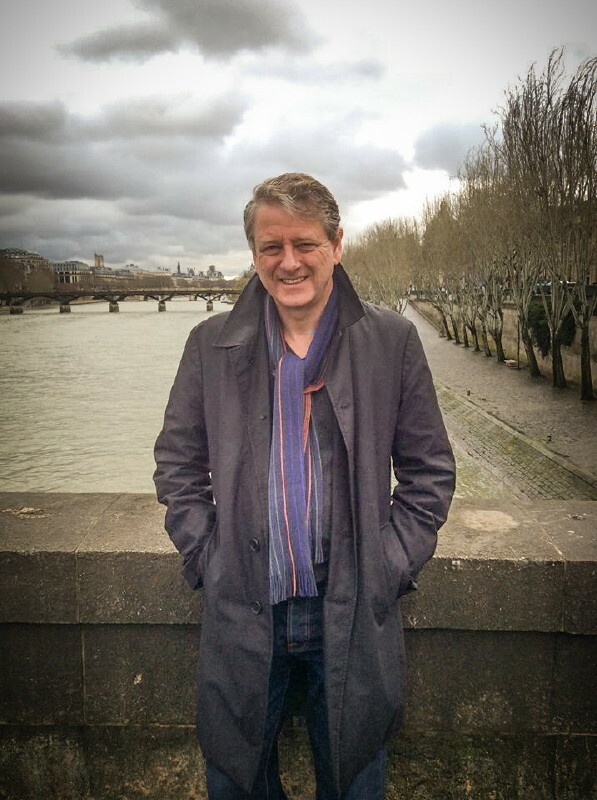 Bell is now London-based and on the executive board of Albany Associates in the field, concentrating on his core communications practice in the conflict, democracy and development arena. He is an old friend and colleague of Chris Marais (Karoo Space) and keeps promising to visit the Karoo again one day.